These converted Barn Cottages (Groves Barn and Boddingtons Barn) stand in the grounds of our beautiful 18th Century farmhouse, set in the rolling Gloucestershire countryside. Groves Barn has 4 bedrooms and can accommodate up to 8 people. 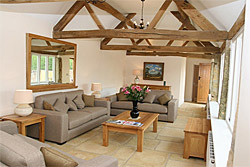 Boddingtons Barn has 1 bedroom and can accommodate 2 people. Norton Grounds Farm is a working farm in an idyllic setting in the North Cotswolds district between Chipping Campden and Mickleton, with Dover's Hill in the background. 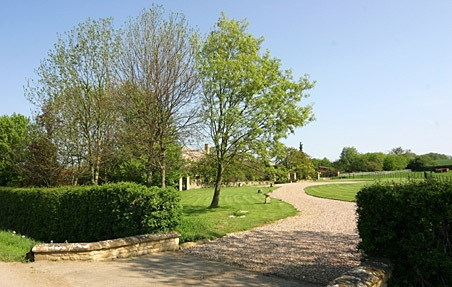 At the end of the driveway you are just a few minutes walk from the Cotswolds Way. The more energetic can stroll up to the top of Dovers Hill and enjoy the most extensive views taking in the Malverns and on a very clear day the Welsh Mountains.